When it comes to the trading of binary options, there are so many brokers/sites to choose from, it can be a daunting task. Although, an option that seems to stand out from the crowd and has gained significant popularity over the years, is IQOption. IQOption has attracted the attention of everyone in the binary options financial trading industry. The brokerage has come a long way since it’s inception in 2013, and has proven to be quite lucrative for many traders. We have discovered that many traders recommend the platform, and see it advertised all over the web. Let’s find out if IQOption is all that it’s cracked up to be in our in-depth review. IQOption has been in the game for a little while now with it’s creation in 2013. Around this time, there were many binary options platforms starting to take off. The brokerage is owned and operated by the company known as IQOption Europe LTD. Their headquarters are located in Yiannis Nicolaides Business Center, Agiou Athanasiou Avenue 33, 4102, Agios Athanasios, Limassol, Cyprus. Being located out of Cyprus, the broker is regulated by the Cyprus Securities and Exchange Commission (CySEC). The brokerage is an international broker offering their services to investors from around the world, excluding the USA, Canada, Australia, Japan, Russia, Turkey, Israel, Syria, Sudan and Iran. IQOption is unique in the sense that they have created their own custom built binary options trading platform. Many companies opt in for an already established and familiar platform to utilize for their operation. Although IQOption’s platform is their own, it is a highly competent platform with many great features making it stand out from many well-known platforms. The platform is lightning fast with speed trading increments up to 5 minutes, while their binary options trade in 1 hour and 15 minute increments with expiry times up to one month. Another outstanding benefit of the platform is their innovative and superb interface. The platform presents all the data and charts a trader needs for analyzing in a beautiful and easy to use way. Along with the superb interface it offers features such as the viewing of 9 charts displayed on one page, and advanced analysis tools such as Parabolic Sar, MACD, Awesome Oscillator, and Stochastic Oscillator. Traders of every experience level can benefit from this platform. 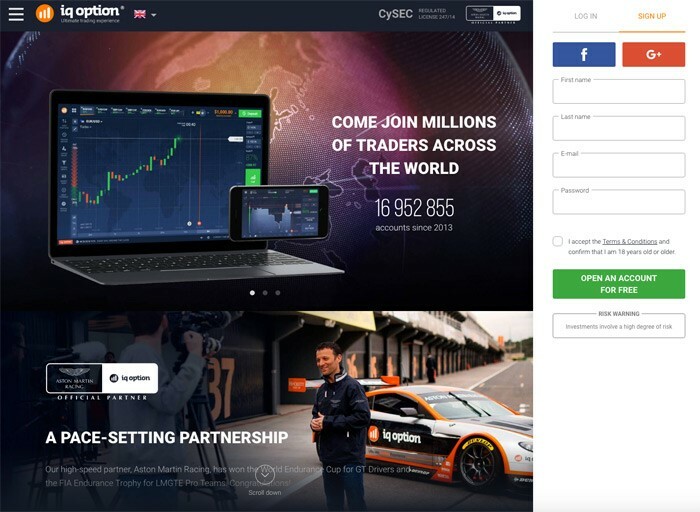 A user friendly and responsive mobile application has become a must for binary options traders, and IQOption was at the forefront in this development with their mobile app. Their mobile app is said to be the most user friendly and responsive binary options app in the industry. Many competitors’ mobile applications are difficult to use, while IQOption’s app is quite simple and allows traders to complete everything they need to do with their extensive list of comprehensive features. 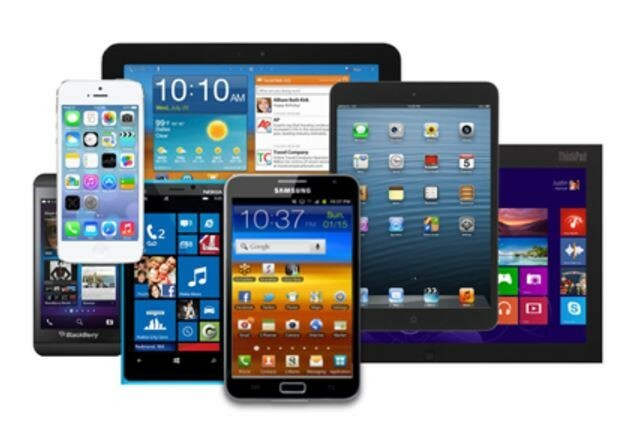 Many traders even prefer using the app to the desktop applications. It is available for download on both the Google Play Store and Apple’s App Store. IQOption members are given the option to choose from four major asset classes including Currency Pairs, Commodities, Stocks and Indices. Traders with IQOption are blessed with an extensive list of assets to choose from, with over 500 different options to trade on, there is literally something for everyone. As well, traders have many options in their trading style with the option to be traded under the following option formats; Classic High/Low, Long-term, Pairs, One Touch, Turbo, and Ladders. There is enough variety of assets and trading styles for any level of trader to be comfortable with. IQOption is absolutely free to trade with. It doesn’t cost anything to open an account, and there are very few fees involved once you begin trading. There are no fees for withdrawals unless your withdrawal is through a bank-wire transfer, then the fee is $53. As well, an additional feature, which is the participating of tournaments can involve a small fee of $5-$20. As for payouts, they are quite high compared to industry standards, with a maximum payout of up to 92%. IQOption does offer their traders bonuses and the amount offered depends on the funds deposited. If a trader deposits $100, their bonus amount is 20%, and for more money deposited is goes up from there. For example, if $2000 is deposited, the bonus is 90%, and for $5000 the bonus is 100%. 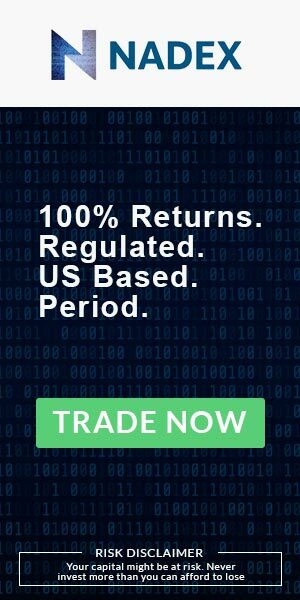 IQOption offers a very low deposit of only $10 to start trading. In doing this, they hoped to acquire more traders, and that they have, as they are the fastest growing binary options broker in the industry. There are number of ways for making deposits in to your account, including Credit or Debit Card (Visa, Mastercard, Maestro), Skrill, Neteller, Boleto, Qiwi, WebMoney, iDeal, Fasapay and Sofort. As for withdrawals, there aren’t quite as many, but the following options are available; Credit card – Visa Card and MasterCard, Maestro Card, Bank-Wire Transfer, Skrill, and WebMoney. The withdrawal process is very safe and secure with the confirmation of your identity, and traders can withdrawal a minimum of $2 and a maximum of $1 million USD a day. As well, withdrawals are processed very quickly within 1 working day for Real Account members and within 24 hrs any day of the week for VIP Account members. Customer service is yet another area where IQOption excels in providing exceptional support. They offer live chat, telephone support and email service with quick replies from highly qualified staff members. As well, the company offers this level of support through 13 different languages being; English, Russian, Turkish, German, Spanish, Portuguese, Chinese, Swedish, Korean, French, Italian, Arabic, and Hindi. IQOption has innovated many extra features in which other brokers have followed suit. A couple of these innovative features is the live demo account and educational learning centre. Informed and educated traders are very important to IQOption which is why they have a slew of instructional videos and tutorials as well as webinars, blogs, and articles for traders to learn from. Another feature offered by IQOption are their lucrative tournaments where traders can win large sums of money and various other prizes. It is no secret why IQOption is the fastest growing and most popular binary options broker in the industry. The broker offers their traders exceptionally high-quality services through their innovative platform and additional resources. They have an extensive asset list to choose from, high payouts, great customer service, and various attractive and useful features. With all the fraudulent, scam brokers out there these days, it’s refreshing to know there is a broker as trustworthy and competent as IQOption. Customers are not accepted from everywhere in the world. Yes, IQOption is regulated by the Cyprus Securities and Exchange Commission (CySEC). Traders can make deposits using Credit Card, Wire Transfer, Skrill, Neteller, Boleto, Qiwi, WebMoney, iDeal, Fasapay, and Sofort. Does IQOption accept international traders? Yes, except for traders from the USA, Canada, Australia, Japan, Russia, Turkey, Israel, Syria, Sudan and Iran. Within 1 working day for Real Account members and within 24 hrs any day of the week for VIP Account members. No, unless you make a withdrawal through Bank-Wire Transfer, then the fee is $53. The minimum initial deposit is a surprisingly low amount of only $10.